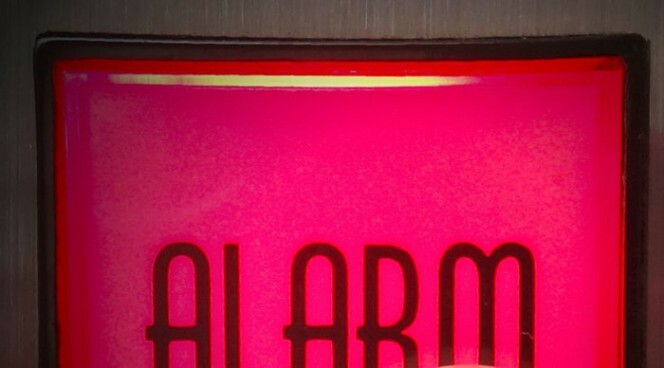 As we saw in the first post in this series devoted to electronic alarm systems, a meticulous and knowledgeable selection of all the system components is essential for it to be effective. After presenting the features to be always kept under consideration when choosing a siren, let’s now look at another essential element: the sensors. The task of the sensors is to detect extraneous movements within the space in which they are positioned, so as to trigger the alarm siren, if an intrusion has occurred. 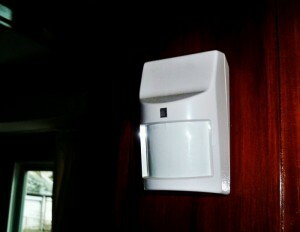 Sensors placed on external accesses to rooms (e.g. 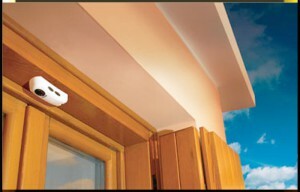 connected to the opening of doors and windows) are generally called “perimeter” sensors and they are usually magnetic sensors, the separation of which, in case of opening, triggers the alarm. Perimeter magnetic sensor applied to a window. dual technology, that is, using both infrared and radar. A good alarm system should simultaneously use sensors with different technologies, choosing carefully case by case on the basis of the task to be performed. For example, the sensors with radar technology work even if covered, so they can be easily hidden from view of thieves during installation. Their purpose is to detect movements but, as they can “see” through materials, the risk is that they can cause false alarms by detecting movement even outside the room. Another possible cause of false alarms may be the movement of insects and pets which pass in front of the sensor. To avoid these problems is very important to carefully consider the installation point and the orientation. In order for sensors with infrared technology to work properly they must be on view. They act by sensing a fast and localised variation of the temperature compared with the ambient temperature, on the basis of the principle that the body temperature of an intruder is different from that of the room. However, they can be circumvented by covering with a screen to prevent the diffusion of body heat. In some cases it may even be enough for thieves to shield themselves behind a large umbrella. Poor quality sensors also struggle to detect clealry small temperature differences. This can be a problem especially in summer, when at certain times of the day the temperatures, especially in a enclosed environment exposed to the sun, can come close to the 36°C of the human body. In a situation like this, a poor quality sensor mighrt not perceive the difference between the ambient temperature and that of the intruder. A good sensor, on the other hand, must be able to detect temperature variations in the order of 1°C or 2°C. 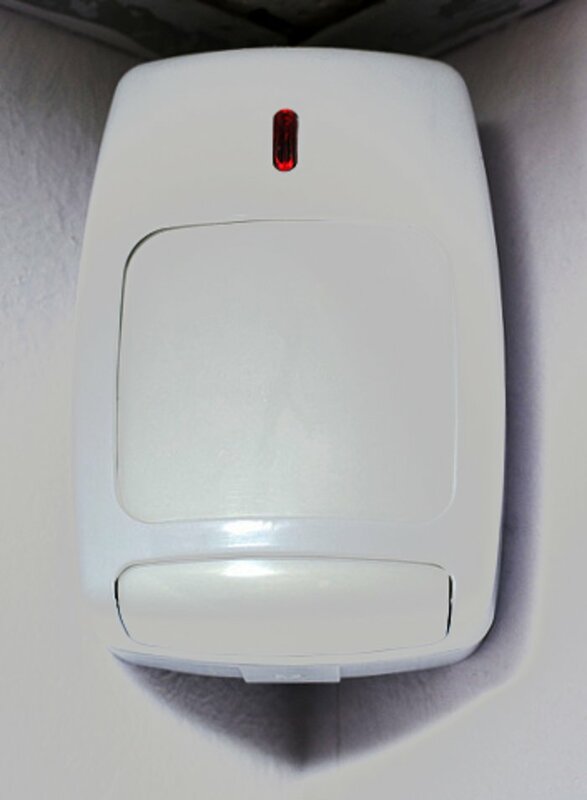 Even in the winter the infrared sensors can give false alarms, for example by detecting as abnormal the temperature difference between the heated room and a cold draught coming from outside. The dual-technology sensors are interesting because they use both radar and infrared and, by suitably combining the advantages of the two systems, they can considerably reduce the possibility of false alarms. The dual-technology sensors are of two types: those which signal only if both systems (radar and infrared) are simultaneously tripped (AND operation), which considerably limits false alarms; and those which can also signal if only one of the two systems is tripped (OR operation). Such sensors, whilst being visually identical to each other, can be activated in different environments, even only as infrared or only as radar. 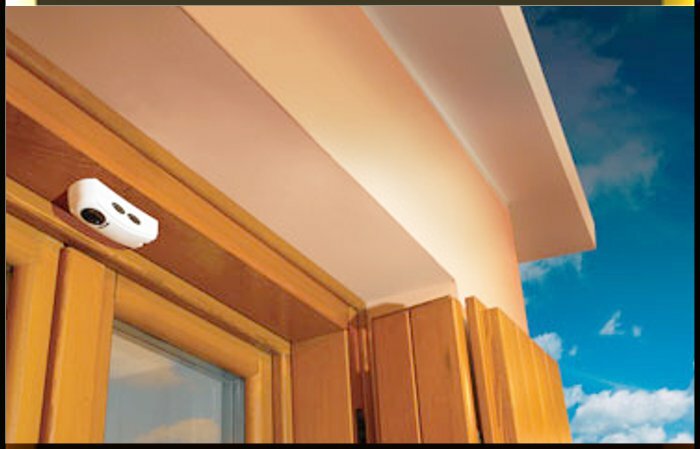 In the light of the above points, it appears quite clear that, even when selecting sensors, there is not just one solution which is always valid, regardless of the place of installation; indeed, it is quite evident that only a thorough preliminary study of the environment and accesses which are located in the place where you want to install the alarm will allow the most suitable products to be selected and their best application. 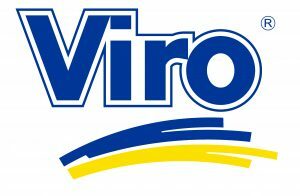 This entry was posted in No category and tagged home, technology, tips on 17 November 2015 by calessandrini.